Wells Fargo Asset Management (WFAM) has hired Mattias Scheiber from Schroders as global head of portfolio management, multi-asset solutions. Reporting to Dan Morris, head of multi-asset solutions at WFAM, who also joined from Schroders in 2017, Scheiber will be responsible for developing and managing the firm's outcome-orientated multi-asset strategies. 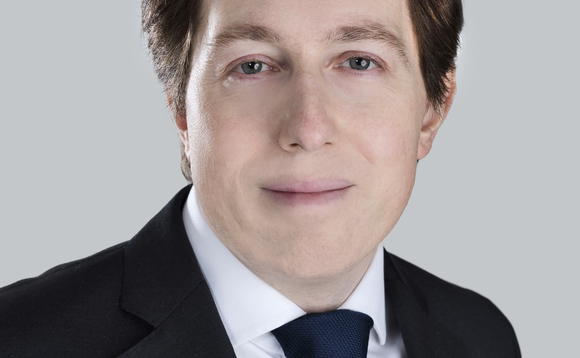 Scheiber spent eight years at Schroders between 2011 and 2019, where he led the multi-asset team's institutional mandates, responsible for its risk-based investment solutions, alternative risk premia strategies and global tactical asset allocation. Prior to this, he was a partner and fund manager at Aethra Asset Management for two years, where he managed the firm's absolute return products. Nico Marais, co-CEO of WFAM, who joined the group from Schroders in June 2016, commented: "With Matthias's deep industry knowledge and long track record of delivering innovative solutions, we are even better positioned to meet our clients' needs." This is the latest Schroders alumni appointment after the firm hired Peter Weidner as head of factor solutions, and Mark Brandreth as a senior portfolio manager in the multi-asset solutions team in February 2018.